DULLES, Va.Feb. 23, 2009-- Orbital Sciences Corporation (NYSE:ORB) today announced that it is in final preparations to launch the company-built Orbiting Carbon Observatory (OCO) satellite for the National Aeronautics and Space Administration (NASA). The OCO satellite will be launched into low-Earth orbit by Orbital’s Taurus XL space launch vehicle. The OCO launch is currently scheduled to take place on Tuesday, February 24, 2009 from Vandenberg Air Force Base, CA (VAFB) at 4:51 a.m. (EST). This operational schedule is subject to the completion of final pre-launch activities, as well as acceptable weather conditions at VAFB at the time of the launch. The powered flight sequence for the OCO mission will take approximately 13 minutes, from the time the Taurus rocket lifts off from the 576-E launch pad at VAFB to the time that the satellite is deployed into orbit. 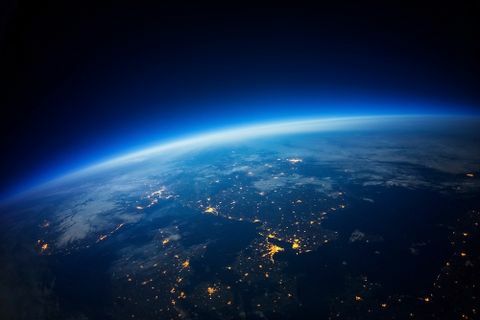 Orbital will launch the 986-pound OCO spacecraft into a circular polar orbit approximately 400 miles above the Earth, inclined at 98.2 degrees to the equator. About 10 days after launch, following the initial in-orbit spacecraft check-out procedures, OCO will employ its onboard propulsion system to raise its orbit to 438 miles, where it will join a constellation of other NASA Earth-observing satellites known as the “A-Train” that fly in formation and cross the Equator every afternoon. OCO will be the sixth satellite in the A-Train, joining five other NASA satellites: Aqua, Cloudsat, Calipso, Parasol and Aura. Orbital is also building the Glory satellite, which will join the A-train as its seventh member, when it is launched aboard another Taurus rocket in late 2009. Orbital developed the ground-launched Taurus XL vehicle to provide a reliable and cost-effective means of launching satellites weighing up to approximately 3,000 pounds into low-Earth orbit. The OCO mission will be the eighth flight of the Taurus rocket, with six of the previous seven missions having been fully successful. Taurus incorporates advanced structural and avionics technology proven on the company’s Pegasus rocket and other operational launch systems. It is also designed for easy transportability and austere site operations, offering customers rapid-response launches from a wide range of locations. 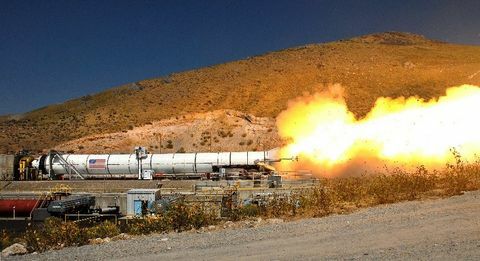 Orbital’s Taurus rocket has also earned NASA’s launch vehicle reliability certification, enabling the space agency to launch satellites of high value and importance aboard the launch vehicle. Taurus joins Orbital’s other rocket that supports NASA missions, the air-launched Pegasus space launch vehicle, along with the Delta II and Atlas 5 rockets, as the only launchers to have earned that distinction. Orbital designed, built, integrated and tested the OCO satellite at its Dulles, VA spacecraft manufacturing facility. 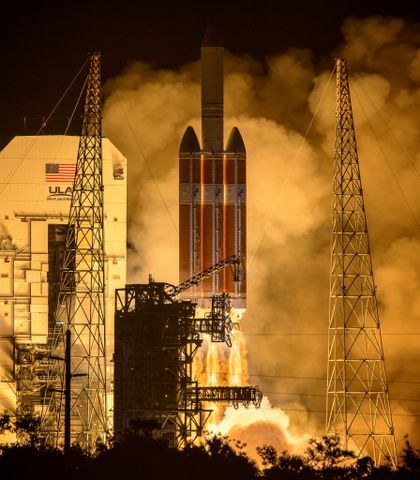 It is the sixth satellite to be based on the company’s LeoStar-2 platform, following several other NASA Earth and space science satellites launched during the past eight years. These missions include the GALEX, SORCE and AIM Earth science satellites, as well as the Dawn planetary spacecraft. The Jet Propulsion Laboratory (JPL) is responsible for the project management of OCO under the leadership of Principal Investigator Dr. David Crisp. Orbital develops and manufactures small- and medium-class rockets and space systems for commercial, military and civil government customers. The company’s primary products are satellites and launch vehicles, including low-Earth orbit, geosynchronous-Earth orbit and planetary spacecraft for communications, remote sensing, scientific and defense missions; human-rated space systems for Earth-orbit, lunar and other missions; ground- and air-launched rockets that deliver satellites into orbit; and missile defense systems that are used as interceptor and target vehicles. Orbital also provides satellite subsystems and space-related technical services to government agencies and laboratories.